Combat helmets have evolved considerably over the years from those used in World War I to today's Advanced Combat Helmet. One of the key advances was the development of aramid fibers in the 1960s, which led to today's Kevlar-based helmets. The Department of Defense is continuing to invest in research to improve helmet performance, through better design and materials as well as better manufacturing processes. 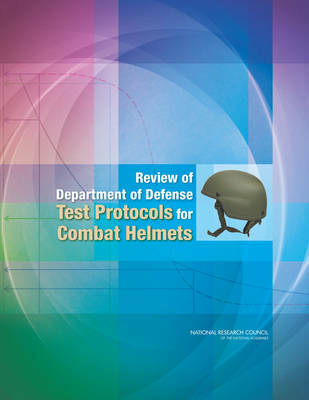 Review of the Department of Defense Test Protocols for Combat Helmets considers the technical issues relating to test protocols for military combat helmets. At the request of the DOD Director of Operational Test and Evaluation, this report evaluates the adequacy of the Advanced Combat Helmet test protocol for both first article testing and lot acceptance testing, including its use of the metrics of probability of no penetration and the upper tolerance limit (used to evaluate backface deformation). The report evaluates appropriate use of statistical techniques in gathering data; adequacy of current helmet testing procedures; procedures for the conduct of additional analysis of penetration and backface deformation data; and scope of characterization testing relative to the benefit of the information obtained.